Hard Course for North Devon Riders. The weekends dry weather conditions at the Escot Cyclocross made for hard racing on Sunday in Exeter. 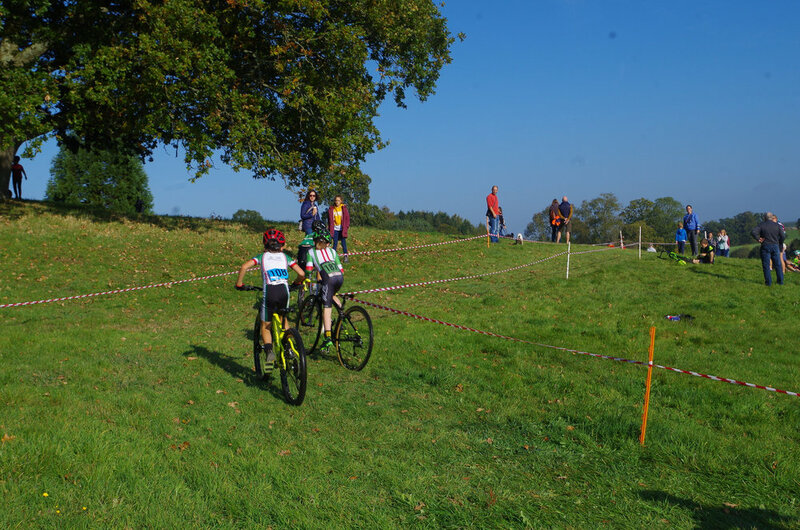 The course wound its way around Escot country park, with the organisers making use of the natural obstacles such as steep climbs, technical descents and gravel. The race was attended by over 150 riders who competed in the different age categories, with the under 8’s starting the racing off. Taw Velos, Edolie Wilson had a challenging time in her race for the under 10’s. Edolie who has just moved up categories is finding the longer circuits more challenging this year. Edolie put in a strong performance and finished in a respectable 4th place. The under 12’s race once again was battle between Max Standen (Taw Velo) and Louis Wright (Minehead Merlins). Max sprinted straight from the starters orders, however he couldn’t shake off Louis, changing positions throughout the race, Max was beaten on the final lap, with Louis leaping ahead on the final straight. Louis Garsnworthy tried hard to claw back the distance the two lead riders had created, but just couldn’t quite make the bridge. Georgia Mahoney moved herself through the field of riders, early in the race and was able to finish 5th overall, giving he first place for the U12’s girls. Ryhs Cook also moved up the field and finished just behind Georgia in 5th place for the boys. Morgan Wilson competing in the same category also had a good race and finished 14th overall. In the under 14s girls, Ellen Garnsworthy charged ahead and proved a force to be reckoned with, going from strength to strength Ellen finished first in category. 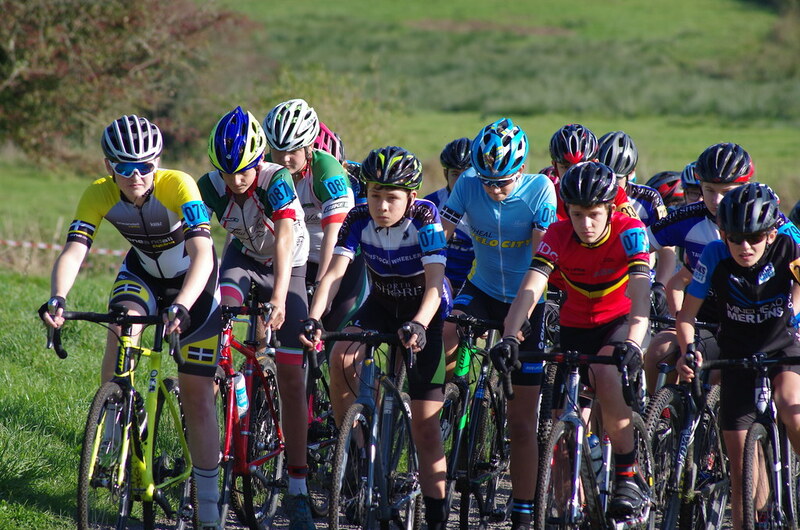 The under 16s girls challenged each other for position throughout the race, swapping positions as each lap progressed, Hannah Rainger from North Devon Wheelers, managed to ride her way past Ellen Webber and take 3rd place. Rosie Andrews from Pilgrim Flyers couldn’t be beaten and took the top spot. Edward Armstrong crashed out on the first lap, meaning he had to change bikes, Dylan Dayman also didn’t have luck on his side and punctured. This is when Dylan’s running skills came to his strength, as he had to run the course back to the pits for a bike change. Losing a few positions initially, Dylan made his way back through the field and finished a respectable 9th place. The longer course in the afternoon proved to be challenging for all riders, now longer and more climbing, also mid day heat the race was always going to be a challenge. Becky Cornwell achieved 5th place in the female category following a strong performance. In the Senior Category, Russell Harris is moving his way up the leader board each race. Putting in a sterling effort for Taw Velo, Russell finished 16th overall. Leigh Mahoney racing in the Vet category is also moving up position on each race. Improving his skills each race and honing his technique Leigh made it in to the top ten. In the Vet 50s both Adam Gazeley and Gary Webber finished in the top ten.